My 2048 Abrams with the green adjusted and some mud for the vehicle and tracks. Good for Autumn and Winter scenarios. 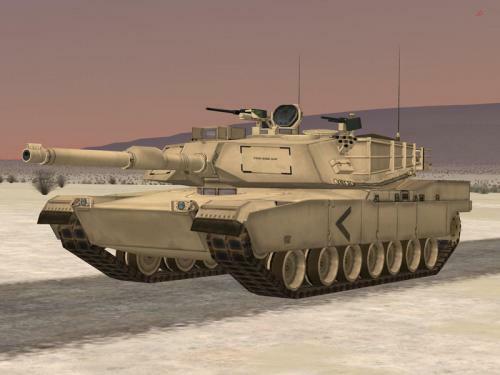 03.25.2007 - M1A1 woodland 3.0. Built over the awesome RogueSnakes M1A1 desert 3.0. Included in this download: 512, 1024, and 512 resolutions, a new mine plow and mine roller, and RogueSnake's updated machine gun skin, resized for the three resolutions above. A new track is also included. 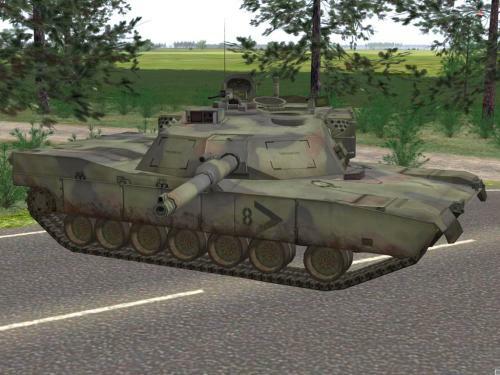 For those that have the horsepower to run it here is my dirty Abrams plus roof texture in 2048 x 2048. I wanted the items that I placed in the bustle to have a little more definition, the same for the turret roof details especially the loaders hatch. If you can run it let me know what you think on our thread in the forums. 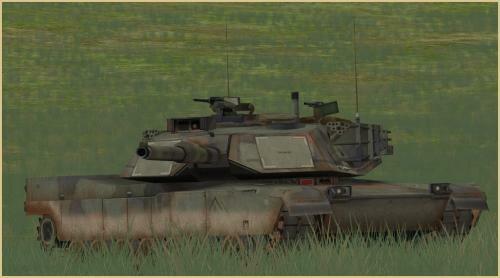 Here is my original M1A1 with a total rework of the details plus a little dirt and mud to keep that crowd happy. I have detailed the armament and hull with such things as the various keeper chains and hinges. I have also included the updated turret roof file plus the humveearm file with slight modifications to the lightness and saturation on the M2 plus some added details on old ma deuce.Hardened up some of the edges and did some minor shadowing on the entire vehicle. Place all files in your mods folder under textures/woodland and lets all get out and play in the mud. 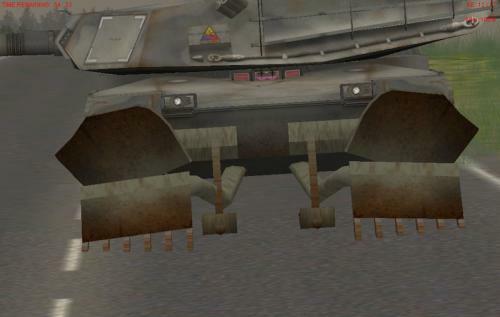 Simple modifications of the stock plow to make it a bit more dirty and rusty. Works well with Fabfires and Rogue Snake's M1A1's. My latest woodland scheme for the M1A1. 08/13/06 Camo pattern from Dejawolfs template. A rework of my original desert abrams to CZ Studios standards. Detailing of entire vehicle, additional shadowing, File includes turret top, TIS view, and tracks, Enjoy your stay in the desert and don't forget to stay hydrated. My latest M1A1 Woodland skin. All credits go to RogueSnake, for the excellent template, and his invaluable support; and to Dejawolf, for the basic woodland camo pattern. Special thanks to Scorpius, for supporting my efforts. High resolution (2048 and 1024) and low resolution (512) available in this package, as well as screenshots. 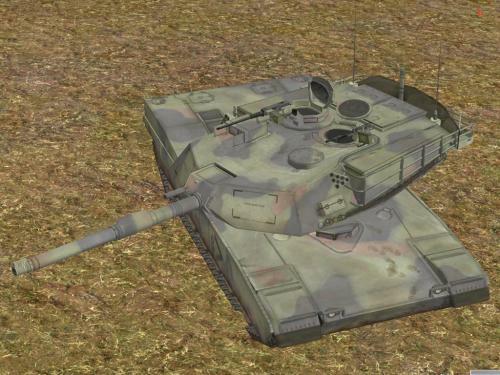 This version has two woodland skins: The "Dry", which is a M1 with more dust and dry mud; and the "Wet", a M1 with less dust and more fresh mud. I hope everyone will enjoy this one! 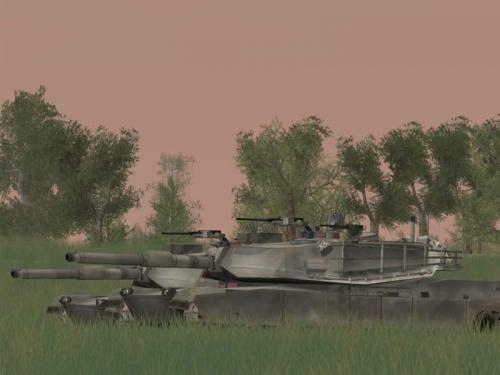 Revised version of the latest M1A1 woodland - fixed some errors, added some new details, the works. High (2048 and 1024) resolution and low (512) res included , as well as screenshots. This is my latest M1A1 woodland skin. Based on RogueSnake's excellent template, with Dejawolf's default camo pattern applied. High (2048 and 1024) and low (512) resolutions, and screenshots included. All credits to this skin go to RogueSnake and Dejawolf. 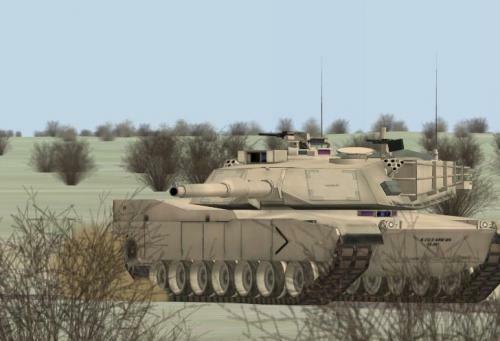 M1 Abrams Skin with Nets on the Turret, also with Trees on the Front and both Sides. This is a *whole* new tank, based on the excellent Rogue Snake template. This resulted in a M1 that means business. High (1024) and low (512) resolutions included, as well as screenshots. Enjoy! 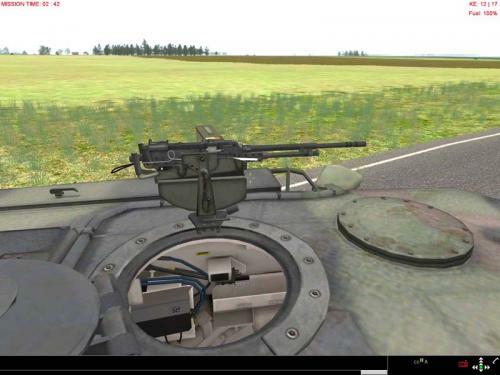 M1A1 Woodland updated. High and low resolutions. My first skin for SB Pro PE. The highlight is a new track, based on RogueSnake79 track, but reworked to depict a well-worn and muddy one. Each rubber pad was individually redesigned, to look like the real thing. 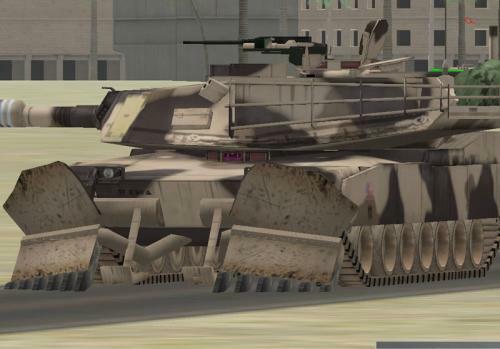 This one was built using a real M1A1 photo as the pattern for the skin. High and low resolution included. 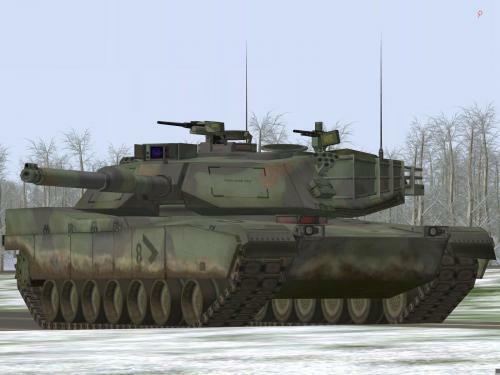 New M1A1 winter skin based on my new woodland skin as shown in the mod forum. Track file is NOT included. I recommend to use the excellent tracks made by RogueSpear. 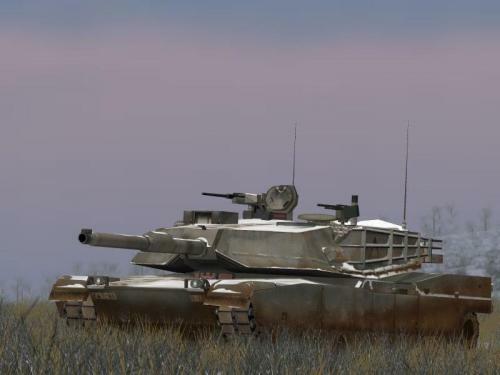 Heavily improved woodland M1A1 skin based on the stock texture as shown in the mod forum. Track file is NOT included. I recommend to use the excellent tracks made by RogueSpear. 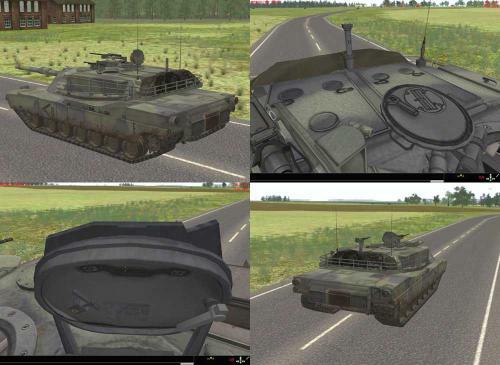 High resolution M1A1 Autumn by Scorpius Autumn camo scheme includes turret roof. Fictional Aussie M1 based on standard Aussie cam. This skin is 2048x2048 and is based on RogueSnakes Template.